Odour Control Masking Compound and disinfectant in one. 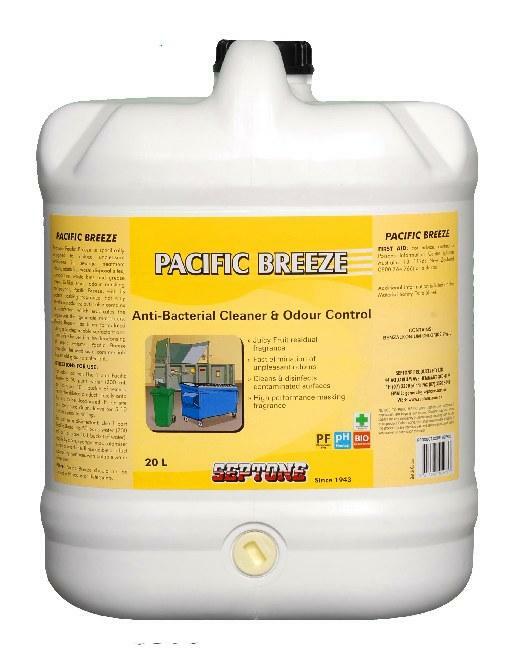 Septone Pacific Breeze Odour Control Disinfectant is specifically designed to reduce unpleasant emissions in sewage treatment plants, abattoirs, waste disposal sites, compactors, waste bins and grease traps. Unlike some odour masking compounds, Pacific Breeze, with its potent masking fragrance, not only masks malodours; but it also contains a disinfectant which eradicates the organisms that generate malodours. Pacific Breeze has been formulated using a biodegradable surfactant and may safely be used in the deodorising of septic systems. 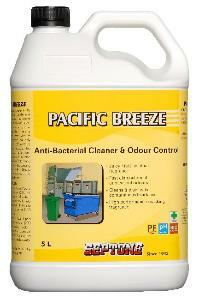 Pacific Breeze may also be used as a commercial/household grade disinfectant. 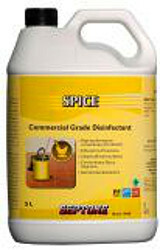 Spice is a quaternary ammonium compound disinfectant cleaner, effective against a wide range of microorganisms including bacteria (both gram-positive and gram-negative), fungi and yeasts. 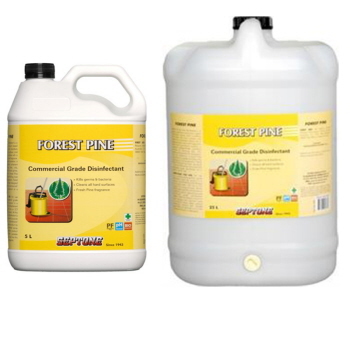 Septone Forest Pine Disinfectant is a liquid quaternary ammonium based disinfectant cleaner which disinfects and cleans all hard surfaces and leaves the disinfected surface with a lingering clean, fresh pine fragrance. 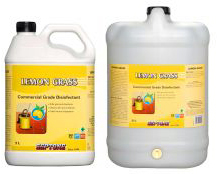 Septone Lemon Grass is a liquid quaternary ammonium based disinfectant cleaner which disinfects and cleans all hard surfaces and leaves the disinfected surface with a lingering clean, fresh zesty lemon fragrance. 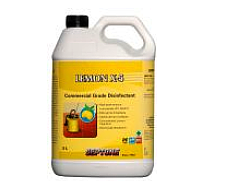 Lemon X-5 Disinfectant from Septone is a quaternary ammonium compound disinfectant cleaner, effective against a wide range of microorganisms including bacteria (both gram-positive and gram-negative), fungi and yeasts.